Digital currency Ormeus Coin (Orme) is using a custom-built Artificial Intelligence engine to optimise mining activity at its $250 Million cryptocurrency operations in North America. Combined profits at the Ormeus mining farms have now hit USD$5.406 Million per month due to aggressive expansion and state-of-the-art technology. The mining operations feature an Artificial Intelligence engine designed to select the most profitable coins to mine at any given moment. 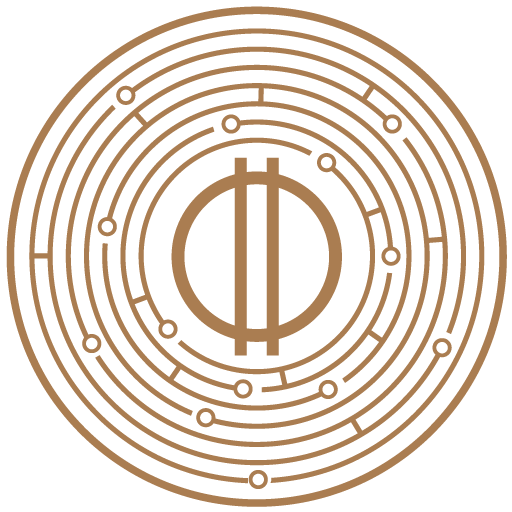 According to a newly published whitepaper and legal audit on Ormeus Coin, the AI system has much in common with the quantitative analysis deployed in high-frequency trading. “A custom built Artificial Intelligence (AI) engine optimises mining activity for Ormeus by maximising yield related to quantity and value of the currency mined,” the legal audit states. “Every few milliseconds, the engine demands a lookup request and finds the most profitable coin to dedicate processing power to,” the independently commissioned paper adds. The Ormeus algorithm aims to remove human bias from the mining equation and even searches for negative mainstream news and high-profile comments affecting certain coins. Audited financial statements from the Ormeus Coin mining facilities report that the company is currently making USD$5.4 Million per month from mining, a figure which will increase to USD$6.7Million with the next hardware order. Ormeus guarantees that 40% of the profits from mining operations will be deposited on a daily basis and retained in a designated multi-signature digital wallet. This secure digital wallet will be used to store the digital currencies being mined, (Ormeus Reserve Vault), and will be visible to the public via smart contract programming from the mining rigs to the currency reserve. The company will liquidate a further 40% from mining operations to re-invest into acquiring additional mining machines and energy. Home and retail miners reached a profitability limit in 2017; now scalable professional-grade infrastructure is essential to support Blockchain ecosystems. Industrial digital rigs verify transactions and harvest new crypto coins like Bitcoin, Litecoin or Dash by being the first to solve a complex mathematical puzzle called ‘hashing’. This steady addition of new coins is analogous to gold miners expending resources to add gold to circulation. The Russian government is currently keeping all cryptocurrency owners in the country on their toes as it decided to crackdown on cryptocurrency websites. Taas.com reports Russia’s Central Bank’s First Deputy Chairman Sergey Shvetsov, as saying that the bank welcomes imposing any restrictions on operations of external websites. Though the government has said that its decision to ban external websites dealing on cryptocurrencies is premised on the fact that cryptocoins pose a risk to its citizens and businesses, this reason is highly doubtful. In the past months, the government and its financial regulatory agencies have been considering descending the sledge hammer on the heads of cryptocurrency traders and exchanges. The reasons advanced for their actions, though may hold some water, may not really be why such harsh actions are being taken. Cryptocurrencies, especially bitcoin have been seen as serious threats to fiat currencies and the gains derived from printing them. Since blockchain was brought into the financial market scene, it has been considered a serious technology capable of upsetting the ways things are done in the system. Bitcoin, for instance, has been widely accepted as the digital currency of choice for financial transactions online and for payment for goods and services. 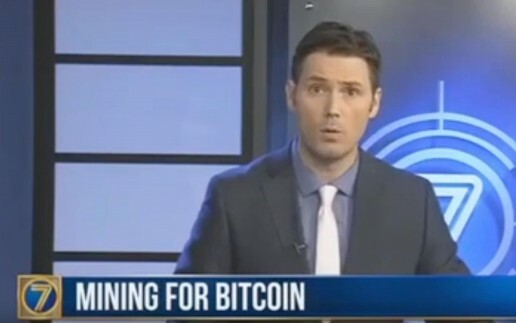 And since it is decentralized, Bitcoin, Ethereum and some other carefully selected cryptocoins have made things relatively easier, reducing the confirmation time for financial transactions, and putting you fully in charge of your own portfolio with no external interference from banks and other financial regulatory agencies. This indeed has become a source of worries for several governments across the globe. The ban on external websites comes on the heels of the recent complaints by the Russian President Vladimir Putin, who had earlier demanded for the banning of cryptocurrencies, bitcoin in particular, asserting that they could be used for money laundering, evading taxes, and terrorism financing. The president went on to say that bitcoin itself is a pyramid scheme. While addressing reporters, the Deputy Finance Minister has stated vehemently that the country would not make Bitcoin payments legal. FinTech companies in Australia have been demanding that the central Australian bank issue the Digital Australian Dollar. 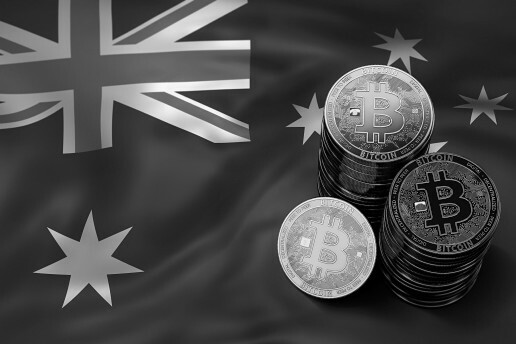 Several Australia-based FinTech startups have submitted proposals to the Australian central bank and Federal Treasury to create a state-sponsored Australian cryptocurrency, the Digital Australian Dollar. According to the Australian Financial Review, three prominent FinTech startups, including FlashFX, AgriDigital, and Othera, have approached the bank via the industry advocacy group FinTech Australia, as well as the governmental FinTech Advisory Group. These startups have urged the bank to give due consideration to creating the Digital Australian Dollar (DAD). According to reports, the DAD will be linked to the current fiat Australian currency, and reportedly is set to confirm the country’s growing blockchain enthusiasm, according to FinTech Australia chief executive, Danielle Szetho. According to Szetho, key stakeholders such as the RBA will ensure a relationship based on trust when Australian users are introduced to cryptocurrencies. While, being linked to fiat currency, the DAD will not be able to undermine the current stability of the current Australian currency. So far Szetho proved a critical advocate for the cryptocurrency, while also being critical of the Australian government’s delay in delivering on their promise to end double taxation in the case of cryptocurrency transactions. The double taxation was finally ended this year. FlashF, based in Sydney, was one of the pioneering startups which provided financial services to facilitate blockchain related activities. While all three startups have their own tokens, they argued that the DAD would be more powerful than any other digitized version of the Australian dollar, as well as create trust amongst Australian citizens. According to FlashFX chief enabling officers, Nicolas Steiger, a DAD endorsed by the government would encourage increased trust and certainty amongst users. In addition, implementing the DAD would lead to immense growth in the marketplace. Lastly, it would discourage unofficial parties to release unendorsed digital Australian dollars. Another advocate for state-backed cryptocurrency is the blockchain startup, AgriDigital, who facilitates transactions between farmers and buyers. While AgriDigital uses blockchain to record, store, and facilitate transactions, payments are still in the fiat currency. This is mainly due to the volatility of cryptocurrency. According to AgriDigital co-founder, Emma Weston, a state-sponsored DAD would make payments easier and more convenient. The last startup, Othera, manages digital loan contracts that are based on blockchain technology. According to Othera’s chief executive, the company is currently pressed to work with existing legacy payment systems in the financial industry in order to process payments from loan borrowers before they can forward payments to the token holders of the contract. John Pellew, CEO of Othera stated that the current system is a slow and painful process which does not sufficiently utilize the full scope of what blockchain technology has to offer. A DAD would enable all companies to unlock a significantly quicker and more convenient payment technology. According to reports, the Australian central bank is currently engaged in reviewing the proposals and launching an investigation before they will reveal their decision. With its cryptocurrency-friendly attitude and innovative tech industry, Estonia has established itself as the Bitcoin leader in the Baltic area. The Baltic region has always been a promising area wherein which cryptocurrency can flourish. The Baltic, which consists of Lithuania, Latvia, and Estonia, is significantly poorer than its Western European counterparts. However, the Baltic has experienced an economic boom in the last decade, partly thanks to Bitcoin and other cryptocurrencies. This is especially true in Estonia. Estonia, the birthplace of Skype, has always shown innovation in the IT industries. 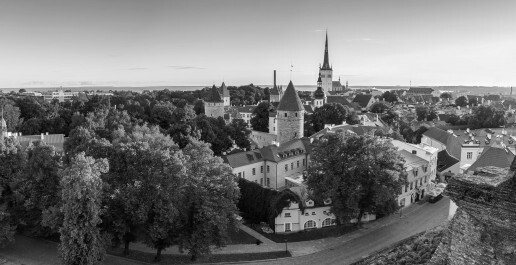 The tech-friendly attitude as well as the economic situation, has made Estonia the prime location to become a prominent Bitcoin exchange market. 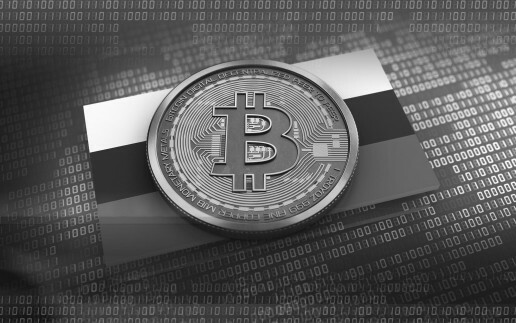 Other considerations also factor into Estonia’s cryptocurrency success. Firstly, it is extremely easy to open up a business in the country. In addition, gaining access to the government is equally easy. Expenses for opening an LLC equates to less than $10 000. Due to the convenience of the process, several firms carry the OÜ extension, which is the Estonian equivalent for LTD. The convenient Estonian registration process might also become more widely used in blockchain projects, such as the .io domains are already employing. Many experts believe that Estonia and their Baltic neighbours could soon become leaders in the cryptocurrency industry. Currently, Russian authorities are employing a largely draconian regime when it comes to cryptocurrency regulation. Considering Estonia’s, proximity to the Russia, businesses, and traders will soon look towards the Estonian market to replace the gap left by the Russian market. To make its position stronger, the Baltic area has a high concentration of Bitcoin full nodes. The nodes are a confirmation of the region cryptocurrency knowledge. Currently, Lithuania boasts with the most nodes at 66 nodes. This number competes with several other crypto-friendly countries such as the Ukraine, which has 80 nodes, Poland with 66 nodes, and the Czech Republic which has 65 nodes. While these statistics can not yet compare with cryptocurrency leaders such as Japan, or the US, the numbers are indicative of the countries’ strong position in cryptocurrency. While Latvia only has 16 nodes, and Estonia 10, these countries have confirmed their cryptocurrency leadership in other ways. In addition to Bitcoin nodes, Lithuania also holds Monero nodes and three Litecoin nodes. While Estonia and Latvia both hold four Litecoin nodes respectively. This puts the area ahead of other tech-innovative countries such as Switzerland. While comparing nodes alone cannot give us a comprehensive look at a country’s Bitcoin future, it is a good indicator of possible success and dominance. The area has also been experimenting with issuing their own cryptocurrency coins. Earlier this year, Estonia announced the creation of estcoin, a token based on an Ethereum principle. However, this coin received a lot of criticism, including that of Mario Draghi, the president of the European Central Bank, who was quick to remind Estonia that the official currency will remain the Euro. Despite the criticism, Estonia continued to operate the e-residence program. Several experts believe that blockchain tokens can co-exist with fiat currency in the future if the currencies do not merge or cross into each other’s territory. Given the openness of Estonia’s e-residency as well as the convenience of starting a business, Estonia has become the most sought-after options for start-ups. Currently, Estonia has less than 2 million residents, which means that they might choose to extend their e-residency to build a worldwide population of over 10 million people. The e-residency could place Estonia as one of the main blockchain capitals of the world. Estonia and the other Baltic states have managed to turn their biggest disadvantage into an attractive option for investors. The underdeveloped investment and finance sector, which previously was a burden, has now become a promising option for the cryptocurrency start-up option. As the upcoming Bitcoin fork edges closer, the Bitcoin Gold project has received a lot of criticism from the crypto community. The cryptocurrency community has been ardently discussing the upcoming fork, and Bitcoin Gold (BTG) in particular as the fork deadline is scheduled for 25 October. Several users and developers have conducted comprehensive investigations as to Bitcoin Gold’s code and found it lacking in more ways than one. The flaws pointed out by the community as well as the lack of available information on BTG has led to a fair share of skepticism surrounding the fork. Several users on BTG’s Slack channel have also voiced concern over BTG both in the form of asking the developing team questions, to denouncing BTG as “shady.” Many users have also expressed their astonishment at the severe lack of infrastructure and exchange listing with the fork deadline looming. One particular user used a reverse Whois background search on the BTG website to found the domain owner. The user’s research revealed that the BTG website owner also owns several other cryptocurrency domains. The same user also discovered that BTG’s algorithm is unfinished and has no added replay attack protection. As for the code itself, it did not show any concrete signs of developing, despite the fork deadline being just one week away. In addition, the code displayed an implemented pre-mine which means that the developers will have a lot of BTG if the project does end up successfully forking. However, two weeks ago, the developing team responded to accusations and criticisms via an official statement. According to the BTG accusers and critics simply did not understand the decentralized nature of the bitcoin network, and went on to address several other concerns. In regard to the lack of replay protection, the BTG team stated that the replay protection code is relatively simple compared to the PoW change. However, the team did not confirm that replay protection will be added before the launch. They also cited the problem of lack of volunteers. So far, the BTG has only had one developer volunteer for the project. The BTG team addressed the unfinished Equihash implementation by stating the true consensus change is still incomplete. They also noted the change in difficulty which led to the adjustment algorithm to not yet be merged with the code. As to the pre-mine, the team stated that the code came from a fundraising idea earlier this year. While the BTG team stated that the idea did not fully reflect the vision and spirit of the entire team, they also did not rule out the idea of removing the code either. The team stated that they might keep the code as means of basic funding for the project which is made up of volunteers. However, the team stated that they will make a detailed financial plan available to the public for the sake of transparency. In addition to the criticism, BTG has also experienced other issue in the form of illegitimate websites claiming to provide users early access to buy BTG. The website “claimBTCGPU” claims that users are able to enter their BTC into the system to pre-claim their BTG, but that users will not be able to spend the BTG yet. The website also gives detailed instructions, including pictures which illustrate the process. The website claims to be a BTG wallet which gives BTG transactions a priority. Several members of the crypto community have already denounced this website to be a scam via several social media channels.